We will help you with a custom page on Facebook! 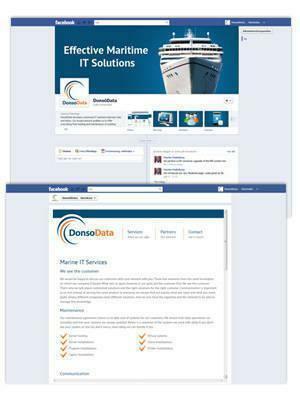 We have helped Donso data with a customized page on facebook controlled via the Joomla! With a stylish and functional facebook page you can easily reach their customers. It is also a good place to build their brand outside the formal channels. We help Donso data with its new Facebook page. Besides a neat timeline, we take a step further and has bvyggt out their facebook with customized pages. These pages are perfect for campaigns to promote or showcase some of the company's own website. Best of all is that the content is completely controlled from one admin pages in Joomla which means that these pages are updated when the website is updated.